Grinduro Scotland 2018 - ADVNTR. So, just what is Grinduro, an overhyped American export, or the best thing to happen to UK gravel racing? It certainly received a mixed reaction when it was announced that the highly popular American event was making its way across the pond to the wonderful Isle of Arran in July of 2017. 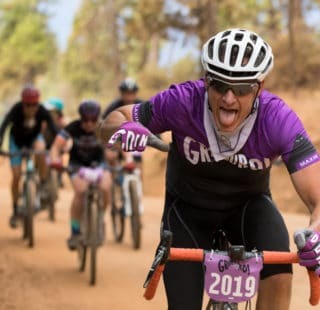 Held for the first time in 2015, in the small lumber town of Quincy CA – nestled on the western slopes of the Sierra Nevada – Grinduro quickly made a name for its self as the go-to event. With tag lines such as ‘Maxin & Relaxin’ it certainly has all the self-confidence you would expect from our American cousins. It isn’t all racing. Grinduro’s Custom Bike Expo is two wheeled art. Grinduro follows the popular enduro format of timed stages that are raced, and linking stages that are taken at a more relaxed pace. Where it differs, is the amount of effort that is put into making the weekend more of a social gathering, and less of a race. 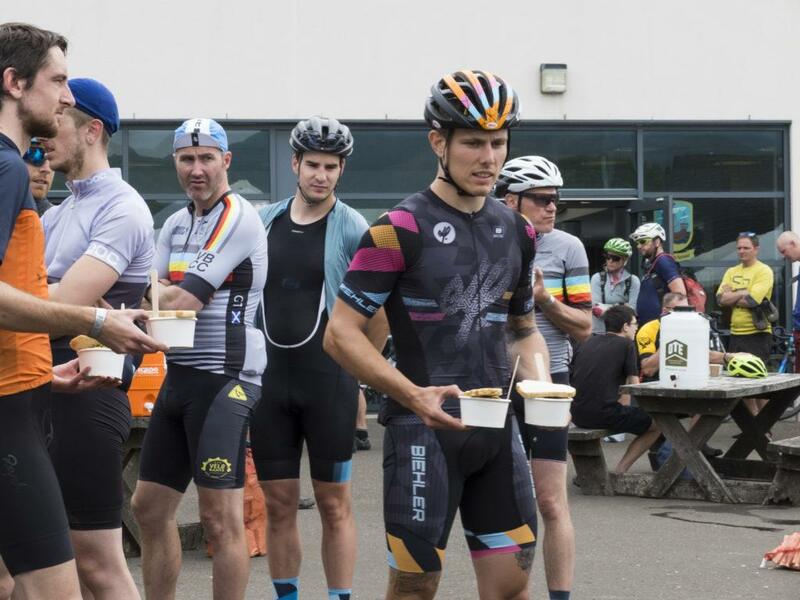 Whilst this may limit appeal to the hard-core racer, don’t let it fool you into thinking it’s all about hipsters drinking coffee and displaying the latest in sock fashion – it’s a race, and a damn tough one at that. 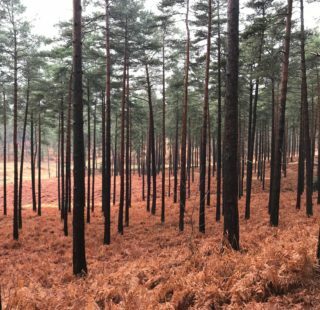 Whilst the UK may have a relatively limited network of gravel roads suitable for racing, we are blessed with amazing locations that can support enduro races. 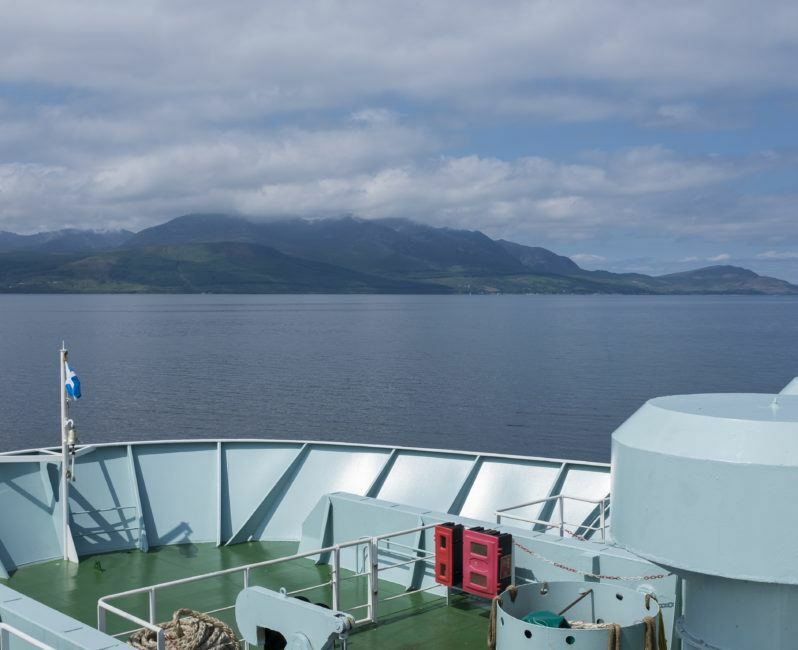 And what an amazing place the Isle of Arran is! A short ferry ride west from the Scottish mainland and you are on the island…and this is where Grinduro nails it. Away from the stresses of the daily grind you are transported to a beautiful location, with nothing to do but ride your bike, enjoy the views, meet new friends and relax for the weekend. The weekend is only possible due to the support of Giro, Fabric, SRAM and for this year WTB and Lauf. Not to mention the organisational expertise of Focal Events. While you expect to see sponsors at any event – at Grinduro they are there making sure the weekend flows and that the riders, and their families, are well looked after. The enthusiasm of the Giro staff that travel over for the event is infectious, and this is carried over to the many local volunteers that staff the route and feed stops. 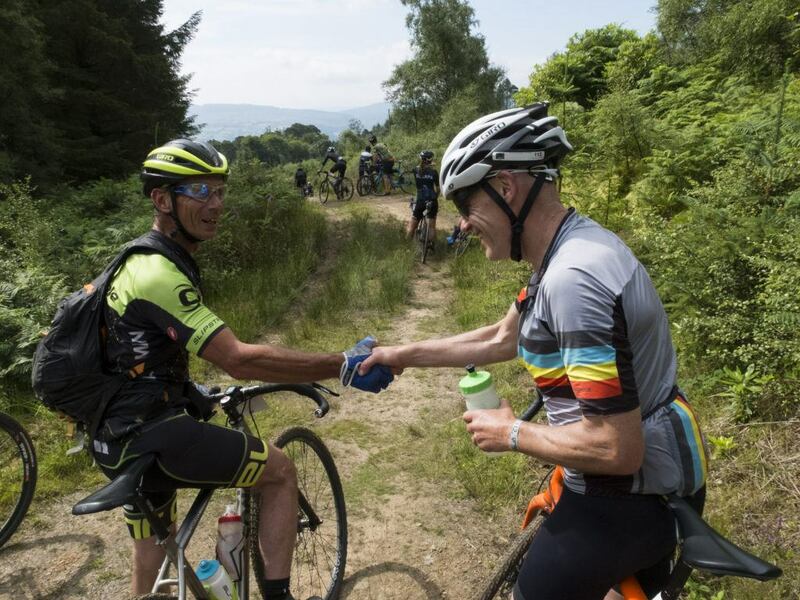 Feed stations with ice cream?! Only on the Isle of Arran. Grinduro isn’t just about corporate exposure. It involves the local village of Lamlash where the event is based, and supports local businesses by promoting their produce. Not just beer, gin and whiskey! 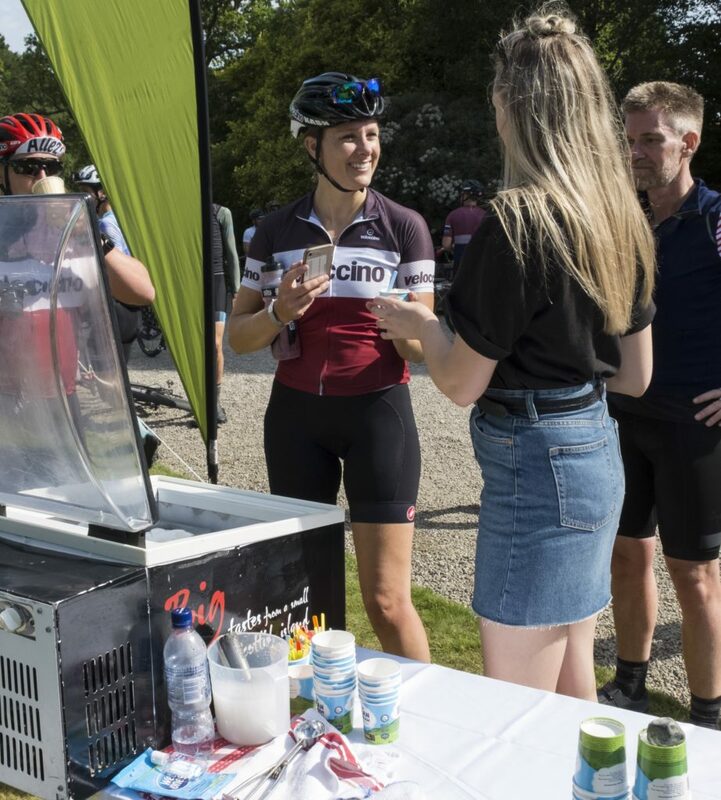 I can’t recall any event where locally produced ice cream was served at a feed station. 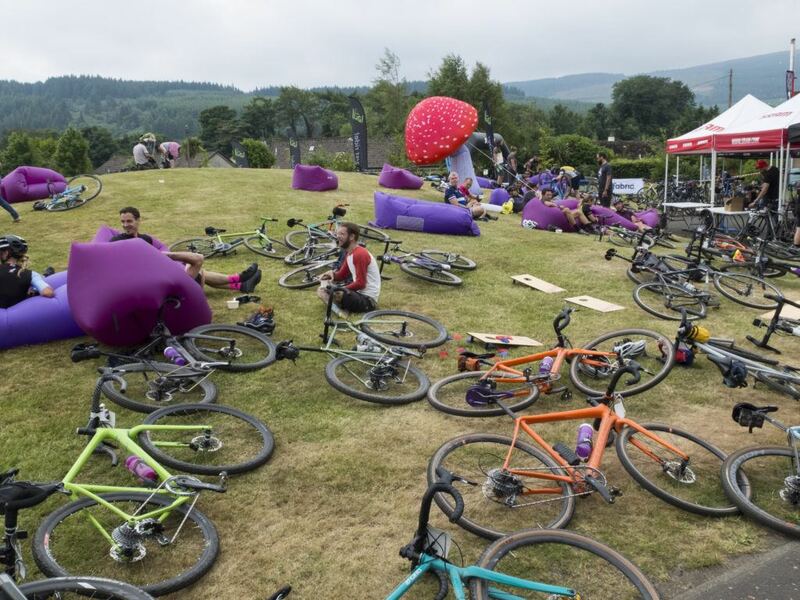 The event HQ is the excellent Arran High School, where the playing field becomes a campsite, the enclosed basket ball court provides the secure bike park (with attending security guard) and the main building holds the custom bike show, bar and a place to party, whilst also providing ample showers and bathroom facilities. But importantly, Grinduro is an international event, with riders travelling from the United States, and many European countries. Stage 1: The Fire Road of Fury – a high speed descent of 2.5km, on a dry and dusty fire road where a good choice of line was essential to getting down quickly…one of the few descents I have done where you have to pedal due to the head-wind. Stage 2: The Lung Buster – 2.8km of climbing, where it was important to maintain traction as you navigated some short, but sharp lumps and bumps. 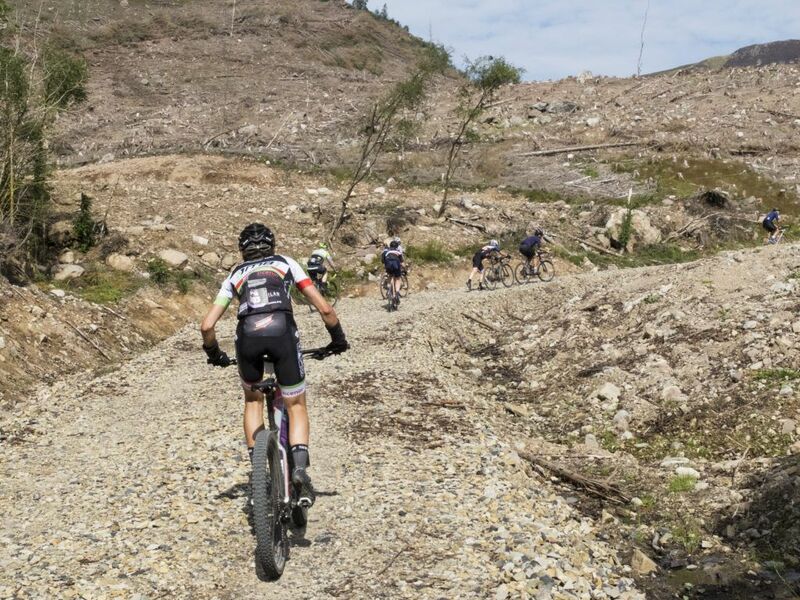 Stage 3: Lunch Roll – 5.5km of climbing, not particularly steep, but you needed to concentrate and maintain a good pace to be in with any chance of a good time. 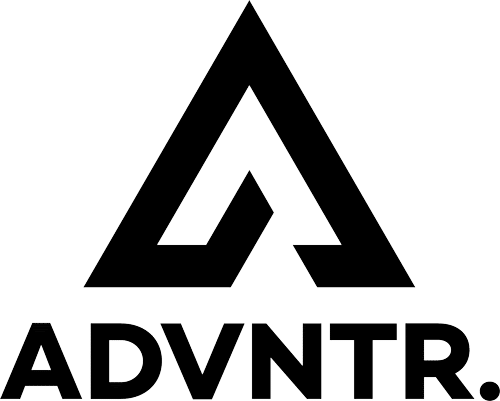 Stage 4: The Final Fling – ah yes, the stage that was to decide the race, 3.2km’s of mixed singletrack and bumpy trail that tested not only the riders handling skills, but also the quality of your dental fillings. Stages 1 and 2 were to the North of race HQ, and completed before lunch, a total distance of approx. 35km. 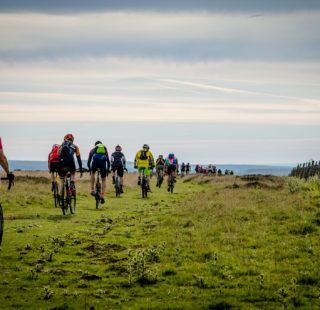 Each stage was linked by short sections of road and singletrack that had riders forgetting the fabulous views as they enjoyed the fast, untimed descents. Back at HQ lunch was provided… Yes, you stop for lunch. As you eat, you can enjoy listening to the exploits of other riders as they enthuse over the mornings riding or just chill out. Following lunch, the race heads south over a wide-open gravel road to where you start stage 3. This is quickly followed by the longest road section of the day, which follows the southern part of the island. As an added bonus, you get stunning views over the coast. 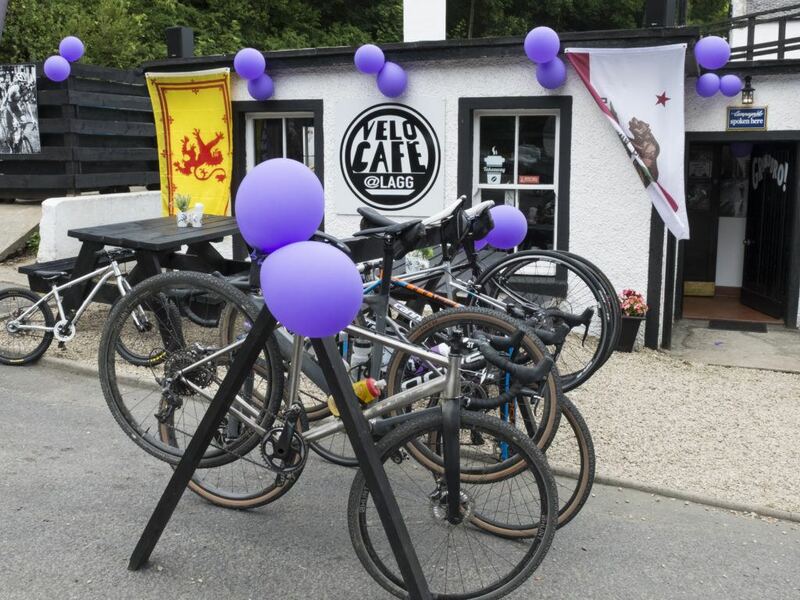 The tarmac is worth it, as it directs you to the Velo Café, in Lagg. A hidden gem of a stop, where yet more food, and most importantly, excellent coffee was provided – along with some enterprising local youngsters selling lemonade and cakes. What followed, was for me at least, the highlight of the days riding. After leaving the Velo Café, you have a short, but sharp climb, to a section of gravel path leading in turn to a wide gravel road. This rolling section allowed you get into a steady rhythm and experience what it must be like to ride the wide-open gravel roads found in America. This linking section went on for approximately 8km and takes you to a technical switch-back descent that tests not only your nerve but bike handling skills. 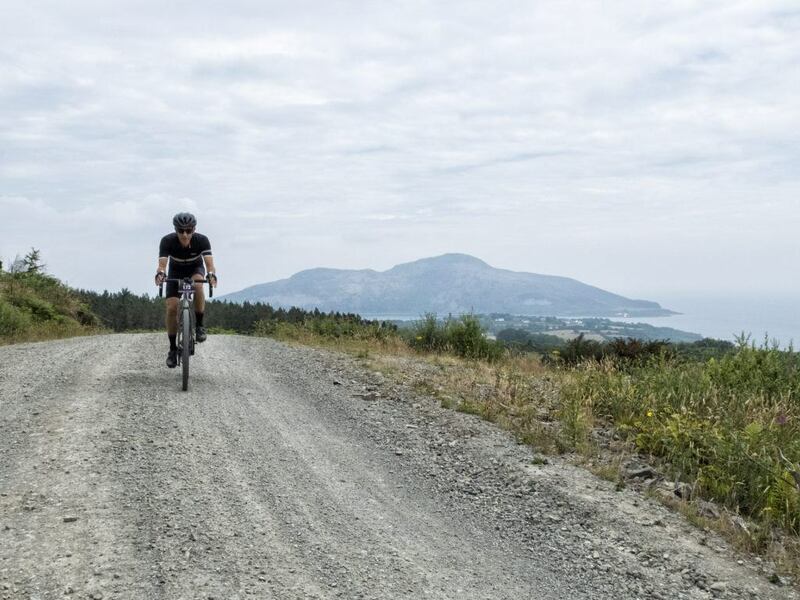 Steep, rocky, rutted and great fun, I would be surprised if the whoops of joy from the descending riders couldn’t be heard from around the whole island. 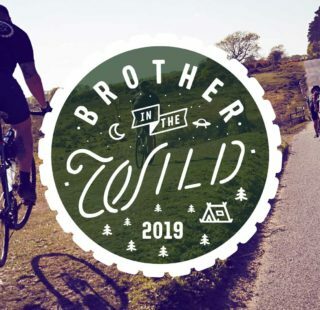 After a short section of road, you are back onto a singletrack climb – after every descent there is always an equally testing ascent as payback. The climb returned us to the gravel road we had previously ridden, and straight into a technical, non-timed piece of singletrack through the woods. 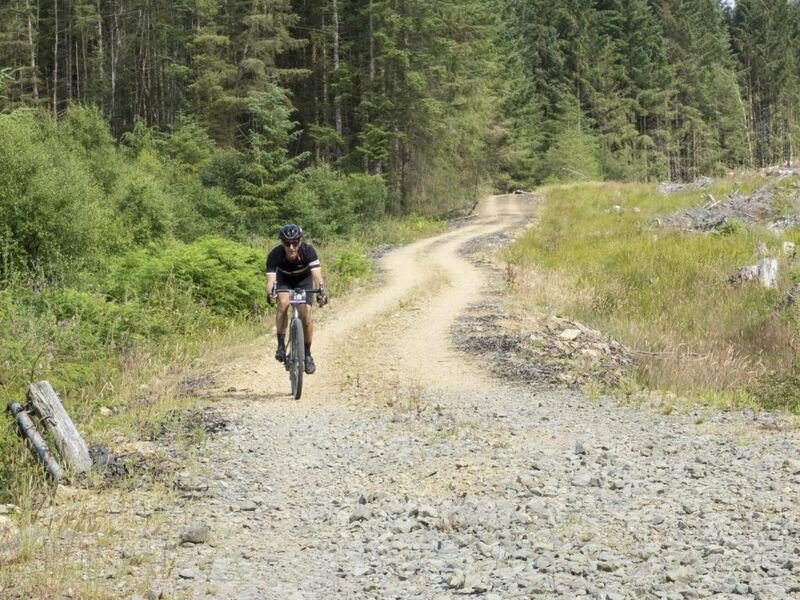 It began straight forward enough, with flat, easy riding…straight into a drop-off that was the start of a twisty, dark root filled section, very testing, but great fun. In particular the drop-off, this tested a rider’s ability to handle a bike, especially a dropped-bar gravel bike. It may have appeared easy to those on full-suspension mountain bikes, but it took nerve to ride it to on a dropped-bar bike. Out of the woods, figuratively speaking, you are soon onto the final timed stage; it begins with a couple of hundred meters of what can only be described as riding over a ladder. Speed was needed to try and smooth out the constant impacts coming through the bike. Already wearied by previous off-road technical descents and singletrack, combined with long sections of gravel road – this stage was already proving to be very testing. A relatively smooth piece of singletrack was followed by a short climb, before descending to the real crux of the stage. Descending continued, but what was previously a gravel track, became singletrack that twisted and turned though the woods. Protruding tree roots and tight turns did their best to slow you down or throw you off line – speed and a keen eye for the right line was what mattered most. All too quickly it was over, the rush of adrenaline was quickly followed by the relief that you had cleared the stage without incident. A short ride back to the race HQ followed, and a well-deserved beer or two. 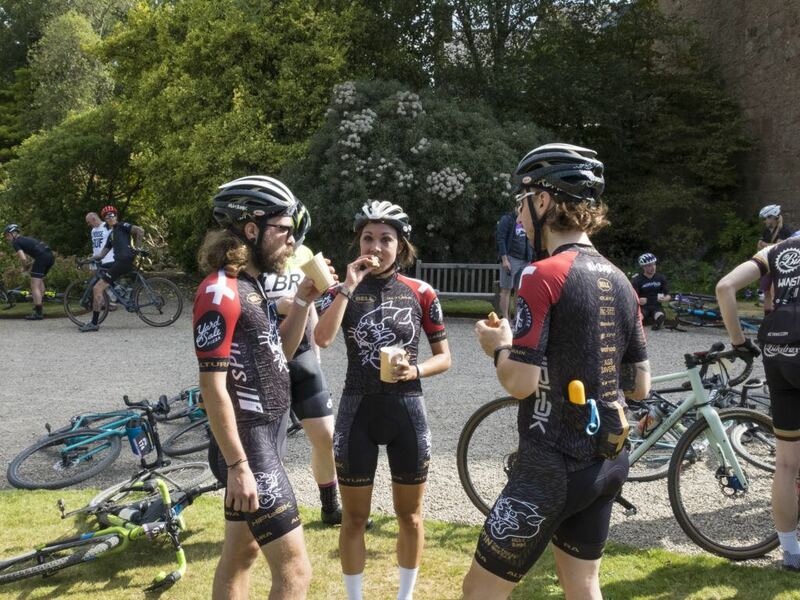 Immediately following the race, riders could be found sitting on the grass banks outside the school, enjoying the sun and drinking beer whilst cheering on other riders as they came across the finish. It was clear a great day’s riding was felt by all the competitors as their days exploits were retold several times over. The evening was made up with prize giving, live music, and a resident DJ for those too young to remember the school disco. Views? Yes, Arran has plenty of them. “What’s the best bike for an event like this?” You often read this on forums or hear it during discussion with other riders, and we all have our own ideas. 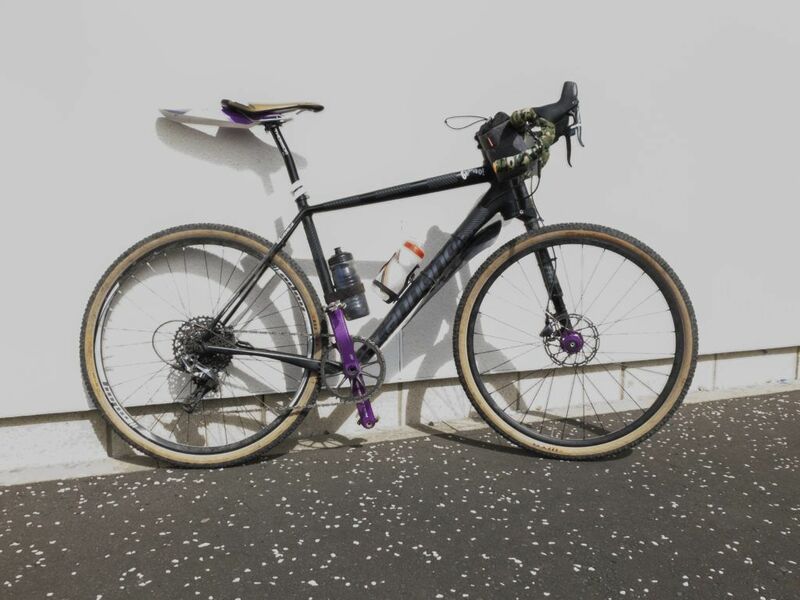 For me, it’s my Cannondale Slate (click the link for a long term review), agile enough for the technical off-roads portions of the ride, and fast enough on the road to make them enjoyable. Although it has a short-travel 30mm Lefty, I ride it like I would a rigid fork, but with the added benefit of a much smoother front-end. Cannondale Slate. Raced, ragged and victorious at Grinduro. Tyres were 42mm, 650b WTB Resolute’s, ran with tubes…I know, but after running my previous pair tubeless without issue, I just could not get this pair to seat correctly. Bars were Salsa Cowbells, their gentle flair allows you to ride on the drops without banging your wrists, and gearing was a 44 single chainring with a 10-42 SRAM system providing shifting and braking. 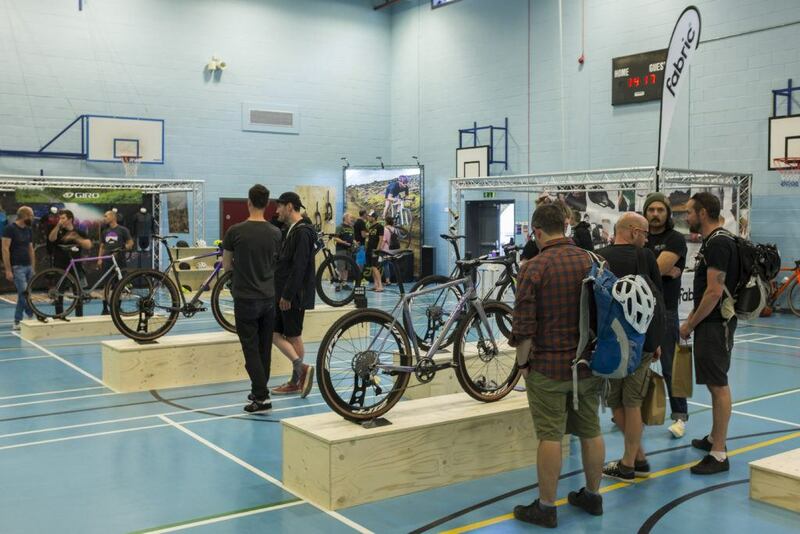 The UK is starting to experience a growth in gravel bike enduro’s, the recently held Gritfest in mid Wales is longer, and arguably harder, and we have the Bombtrack Gran Fonduro at Innerlaithen in September, also the Dukes Weekender at Loch Lomond, also in September. So why would you want to ride Grinduro? It’s fun would be the obvious reply, but it’s more than it. It’s the whole experience, from the moment you get on the ferry, to the wonderful hospitality and new friends you meet. Grinduro is one of the few events I have completed, where the onus is on the riders experience, and where ‘Maxin and Relaxin’ doesn’t suddenly sound so kitsch. Words and photos: The Cheshire Cat.